There are many reasons I love children's books. They take me back to a time where going to the library was so exciting(You mean we can just TAKE these books home?). When people read to me-my parents, my teachers, any one. I remember loving being read to. It was so relaxing and I can still see myself braiding my friends hair as we sat and listening to our teacher read us a story. I've been working at Chapters for a little over a month now and my love for children's books has been renewed. I work mostly in the Children's Department(the department almost every other employee hates) and I am loving it. It's the most colorful part of the store, I can hear children of all ages exclaiming over books and, perhaps my favorite part, I get to talk to kids about the books I love. Over the past weeks, I have discovered some fantastic books that I am coming to love and some that I have loved for a while now. I thought it'd be nice to share some of my favorites and maybe hear from you as to what your favorite childhood books are, either for you or, if you have them, your own kids. 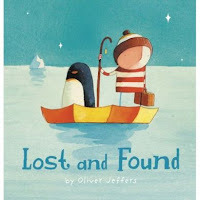 Oliver Jeffers is a favorite author of mine and this is the first book of his that I fell in love with. It's a lovely story of friendship and the illustrations are as beautiful as they are charming. Jeffers is the author of The Way Back Home, How To Catch a Star, The Incredible Book Eating Boy and most recently The Great Paper Caper. This is the first book of two from Rosenthal that made my list. This book encourages kids that it's okay not to be the best at everything. The little stick boy shares about all the things that he tries that he's just "ok" at(sharing, drawing, somersaults, etc.) and how he knows that one day he'll be great at something! Now that I write it out it kind of sounds like the kid has low self esteem, but I assure you, it's not like that. It's quickly becoming a favorite! This is one of those books that both kids and adults find funny. 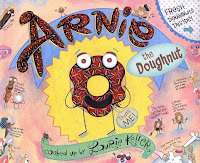 Arnie has lived at the bakery with the belief that when people buy a doughnut they are, essentially, adopting that doughnut. So, understandably, he is thrilled when a gentleman purchases him and takes him home. He is horrified when he finds out the man's true intentions! This book made me laugh more than twice! 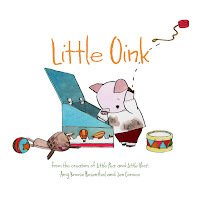 Little Oink is the third in a collection of three books that I love! Little Pea and Little Hoot are its predecessors. All three focus on a little animal (or veggie) that are not typical. Little Pea has to eat his candy so he can get spinach for dessert, Little Hoot's parents have to convince him to stay up really late when all he wants to do is go to bed at a reasonable hour and Little Oink just wants to tidy up. They are the cutest little books that come in hardcover and in a pack of board books! good choices, jenn! i LOVE "Little Oink" and bought it for jackson. now that i know there are others, i will have to look for them! and "The OK Book" sounds good too. i think i'll be needing to make a trip to Chapters soon! And to think that when you girls were small I was "worried" that you might grow up and not share my love for books! Fun post Jenn! We are prety particular when choosing books as there is a lot of boring, junk, waste of words books! (I'm sure you see many daily). We really like: I love you through & through, the Max Lucado books (not sure Chapters has those), Marianne Richardson's books are among our favorite. I'll have to check these out! I totally know who the anonymous comments are from...oooh sneaky. I am only posting as anonymous because I can't remember my username. this is treeners. I have to say that I don't care too much for reading, apart from Max Lucado and magazines, and my bible. But like you. I love Childrens books and I love James and the Giant Peach and Where the Wild Things are...oh and The Paper Bag Princess. You can catch me in the childrens department. I think I mostly like the illustrations and the great use of color. Way to go Jenn for taking on a department that fits you! !